NOTICE CONCERNING MOBILE DEVICES- The E-link system, part of our Versatrans transportation software is not compatible with mobile devices such as iPads, tablets and smart phones. What is E-Link? 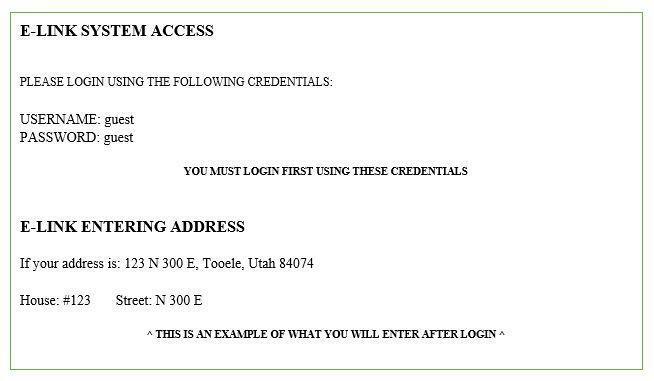 E-Link is a software service that Tooele County School District provides for parents and students in determining school bus transportation eligibility, bus stop locations, and stop times. Eligibility is not determined by the E-Link software but but by clearly defined transportation standards set by the Utah Office of Education.